This former Soviet republic is nestled between the Caucasus Mountains and the Caspian Sea, where Asia and Europe meet. The Azeri capita of Baku is a fascinating city; here the centuries-old Palace of the Shirvanshahs lies surrounded by walls built in the middle ages, and the ancient Maiden Tower commands a view of the surroundings. 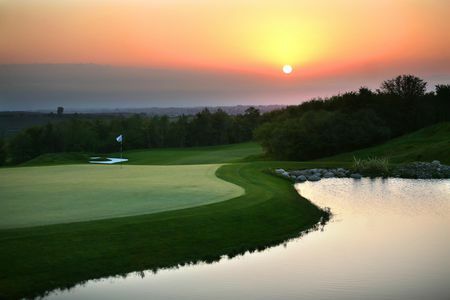 Azerbaijan's one golf course is located in the country's northwest in Quba, in the foothills of the Caucusus. 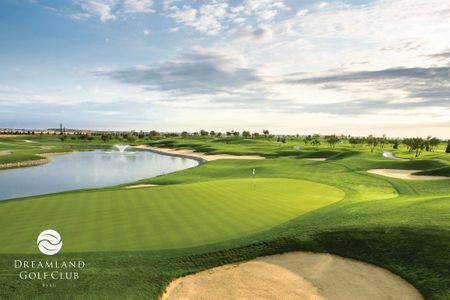 The 7000-yard National Azerbaijan Golf Club is the work of International Golf Design's Jon Hunt. Only a couple months after the club opened its doors in July 2014, the first Azerbaijan Challenge Open was held here, in which the up-and-coming German Moritz Lampert was victorious. This club is also home base for the Azerbaijan Golf Federation, which is undoubtedly working to create more opportunities for golfers in this fascinating land.